Congratulations on picking the winning ticket!! The first thing you are going to need to do is sign the ticket on the space on the back. Tickets are bearer instruments — if you lose a ticket before you sign it, you no longer have valid ownership of the ticket. For instant games, players have 90 days from the announced last day to purchase tickets for the game to claim a prize. For an online (terminal-generated) game like Powerball®, players have 180 days from the draw date to claim a prize. 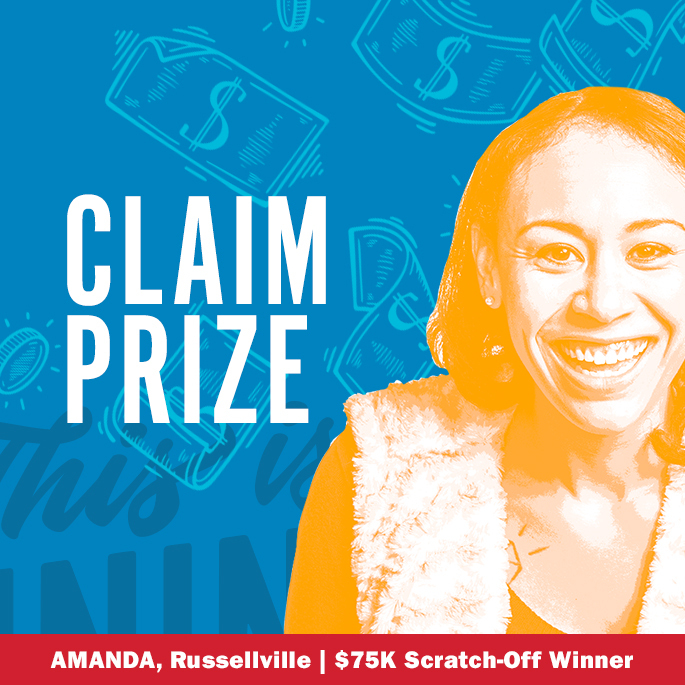 You can collect winnings at any Arkansas Scholarship Lottery retailer if the value of your winning ticket is $500 or less. Closed on state holidays. No claims processed after 4:15 p.m.